I appreciate you blogging about Fullan’s ideas. I am intrigued by his mention of “accountability” as a wrong driver for change. I often feel a unnerved with school’s (& school systems) increasingly adopting corporate accountability models (students & teachers & learning is more than a commodity that can be measured). Perhaps we will see a shift in the educational pendulum from a corporate accountability to capacity building. I would welcome that shift. Hi Johnny – I think the “accountability” agenda which has occupied many jurisdictions (like we often hear from the US) has peaked. I don’t hear anyone discussing the next iteration of our system suggesting it needs to be characterized by more testing and ranking. The challenge is the need to change the attitude. We need to be transparent with results and practice but not use them in a “carrot and stick” way, but rather to build build and engage. Thanks Chris, for your continued thoughtfulness from a district perspective. As a technology junkie and classroom advocate I love that you question it as a driver. I love tech and believe it is making the real drivers more visible, accessible, and applicable. Keep it going! Thanks for the entry Chris. I’ve long followed Fullan’s work and am curious as to why the two systems that he has had the most influence on–Ontario and the U.K. seem to still be driven by accountability and Deliverology (Michael Barber). Interesting Stephen. 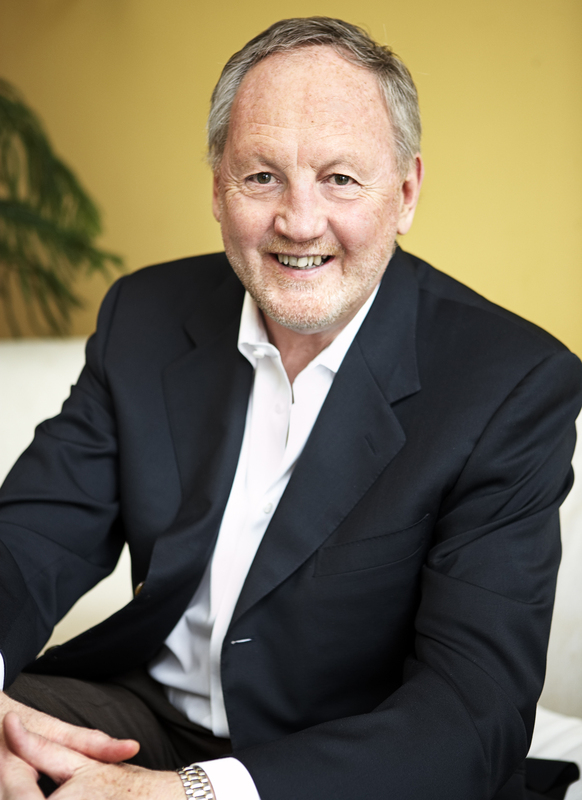 I am impressed by Fullan’s vision, as described in this article and elsewhere – but, at least from a distance, it does not seem to be fully alive in Ontario. Nice to connect with you here. Thanks Chris. It’s great reading your work. I’m getting increasingly discouraged here in Ontario, but I’m not willing to give up the fight yet. I think that the vision expressed here by Fullan is what we want to see. It’s going to be hard to make it happen after years of being immersed in the accountability regimens and protocols that have now become part of our culture. And with another Conservative provincial government knocking on the door, it may be years before the critical mass gathers at Fullan’s cocktail reception. But it is a vision that resonates! Yes – it is unfortunate the debate around resourcing in often so closely linked to the discussion around pedagogy. All this said, I have found that when implemented correctly, technology can be an excellent driver to open up the conversations around pedagogy. While we are often unwilling to open up around our practice – we are happy to ask questions about technology and these conversations that start as a conversation about the tools – quickly turn to conversations about learning. this is timely and helpful – and I like the idea of a reform cocktail party. Chris, I think Fullan is right about technology. On one hand it has more power and potential than any other tool we have had at our disposal, but at the same time it is useless and reinforces poor instruction if used innappropriately. It too expensive and powerful to sit unused in a school and classroom. As eduators we need to embrace the idea of student centered classrooms and schools that utilize technology in the learning process. Yes – his straight forward approach is a good reminder that technology is really important but it must first be a discussion around pedagogy and practice. Chris, as a Superintendent of Curriculum in Ontario, Fullan’s work has indeed inspired, challenged and sometimes just simply reminded us to stay the course on the precision, personalization and professionalism journey. This notion of accountability will likely be explored in greater depth as we differentiate accountability from responsibility. I believe Andy Hargreaves, in THE FOURTH WAY (2009) gives us something further to consider about the relationship between accountability and responsibility. Simply framed, he states “responsibility precedes and supersedes accountability” and accountability is what is left when responsibility is unfulfilled. I think the fusion of systemic, capacity building focused on group learning for quality instruction will redefine accountability for all of us! Thanks Patricia for the comment. It is interesting you reference THE FOURTH WAY – it is also been very influencing many BC School Districts as they look to make plans moving forward. even in the most technologically driven form of education (distance education), there is realization that the technology is not the driver for learning. The instruction needs to be intentional and well-developed. This is recognized. But the other piece (check at about 2.31 in the video) is that taking current learning pedagogy and simply transfering it to a technology (or distance) platform DOES NOT work. So here’s the dilemma – using technology as a driver does not work…but technology is not going away and the way it is used as part of instruction requires a significant tweak in that instruction. Perhaps it’s too simplistic to say technology OR instruction should be the driver. Perhaps instruction based intentionally in the reality of today’s technology (and the reality of today’s technologically savvy learner) is the ideal driver. Taken to a conversation about whole system reform, instruction needs to be a driver but it needs to be cognizant of the current context of that “whole system”. The whole system we’re addressing is imbedded in a world of technology that isn’t going away (thus our ability to even have this conversation via a blog…or Egypt’s ability to change a whole country via twitter/facebook). Technology isn’t a driver because it is merely a tool. Where technology can help is in the area of student engagement. To capture the heads of our students we need to first capture their hearts. We need them to be excited and captivated by learning. Technology can help to capture their excitement and curiosity assisting us in advancing the goals of the curriculum. The use of technology does not supersede teacher collaboration, effective assessment strategies and effective instruction. Absolutely – but done right it can definitely accelerate many of these drivers.